This derelict Taveuni Estate “Resort” site is beautifully positioned adjacent to the Taveuni Estates Golf Course. There is perceived value in the remaining foundations of the originally planned and part completed resort. Potential buyers will need to satisfy themselves as to what that value is, as the property will be sold on an as -is-where-is basis. This 7 acres is for those looking for an investment and this may be the best thing in Fiji at this price. Located next to a 9 hole golf course this property is a one of a kind. Previously built for condo apartments the land has now become available for investment and could be used as a resort or possible subdivision. 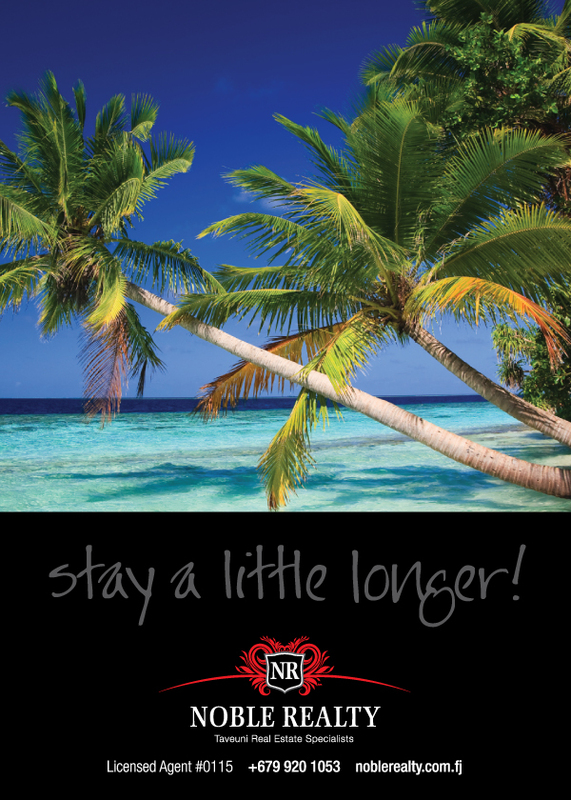 To get a big return on your investment call Noble Realty Now..